1275, 1st Street, Washington D.C. The home of (some of) GSA and other federal agencies. Yes, that is Grass. On the roof. Oh, they decided to go green using the boring, predictable horizontal solution, eh? How very last century. 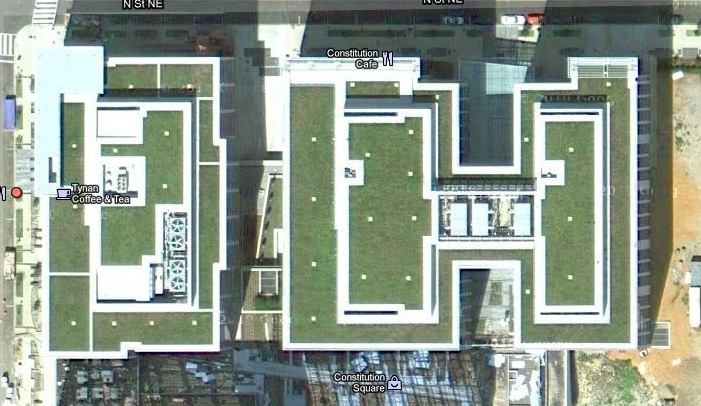 I'll see your green roof and raise you not one but *six* green WALLS. That's right: we do green *vertically* down here in Durham.